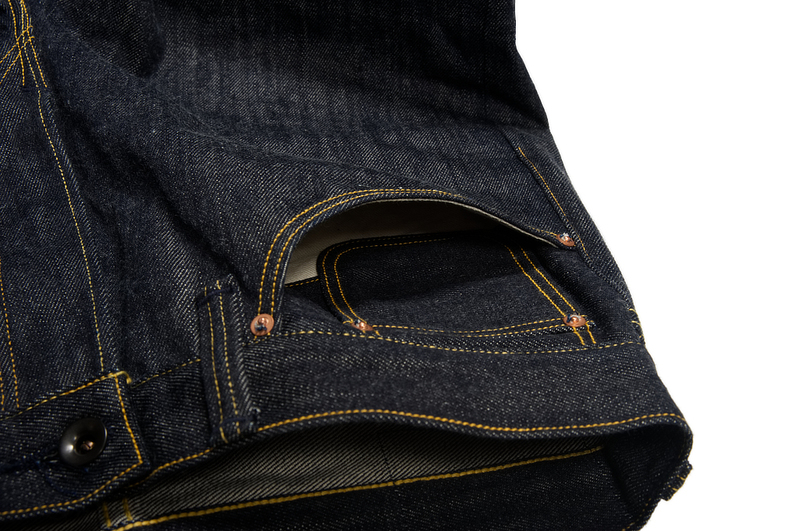 Hi @kiya, will you be doing a run of the IH-633 in the 14oz v2 OD denim? 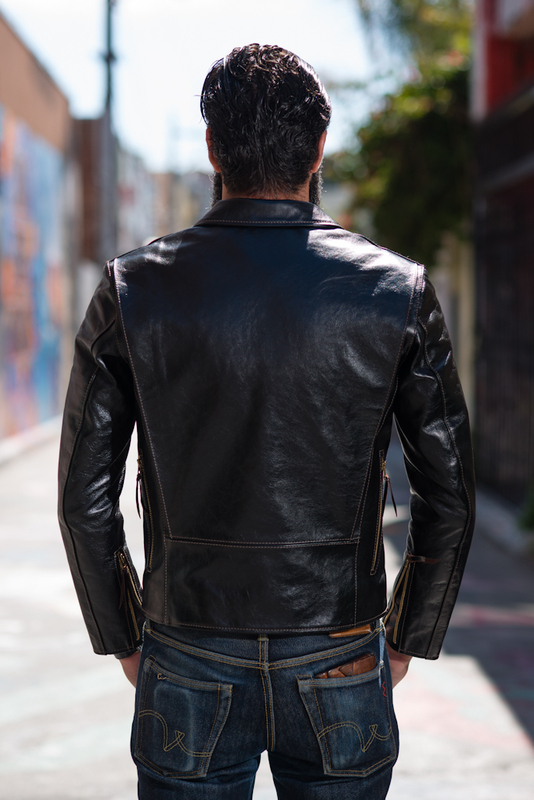 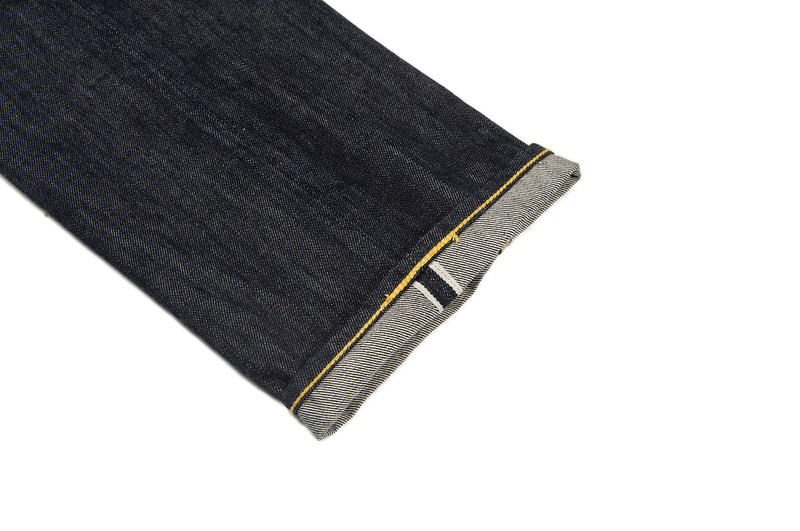 We will have the 633 in a new 14oz black/black denim and a new 14oz indigo/black denim in the late summer, but no plans to do a 14oz overdyed denim. 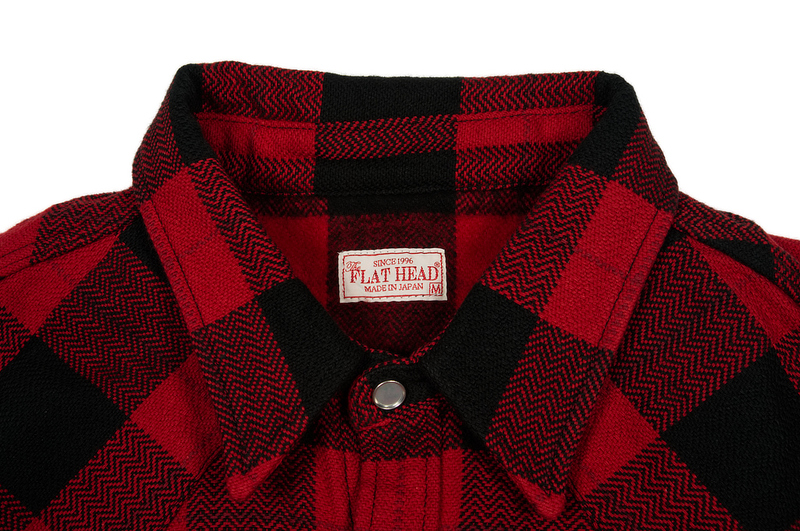 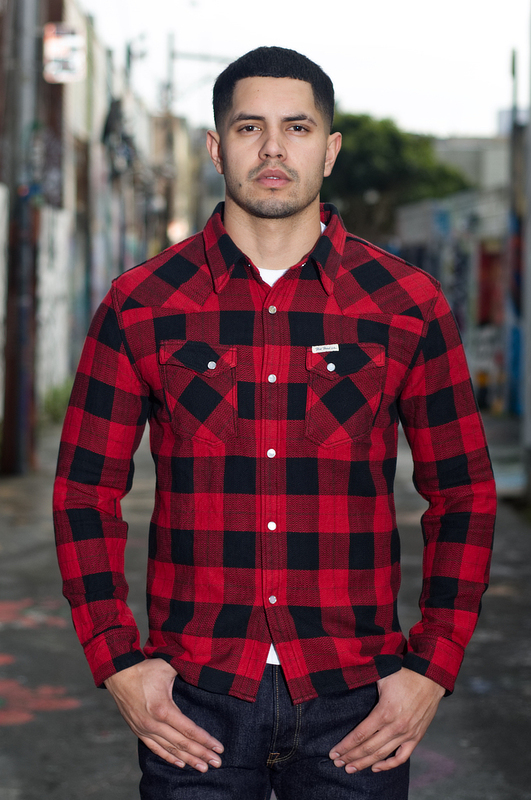 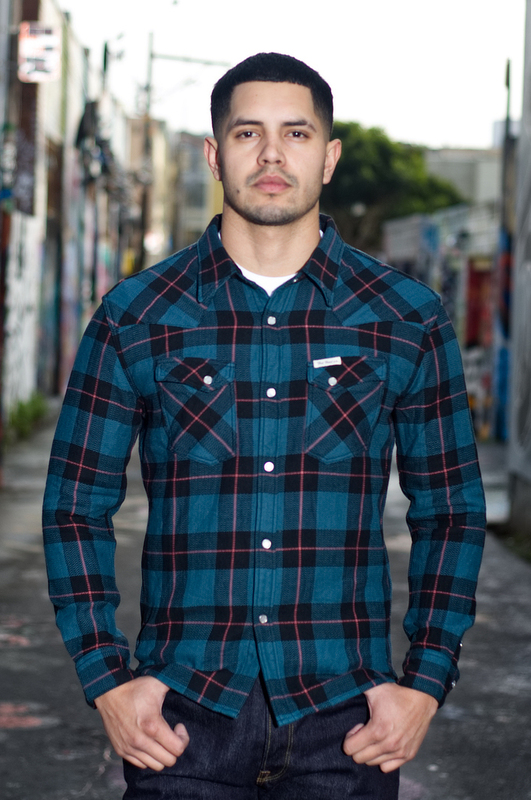 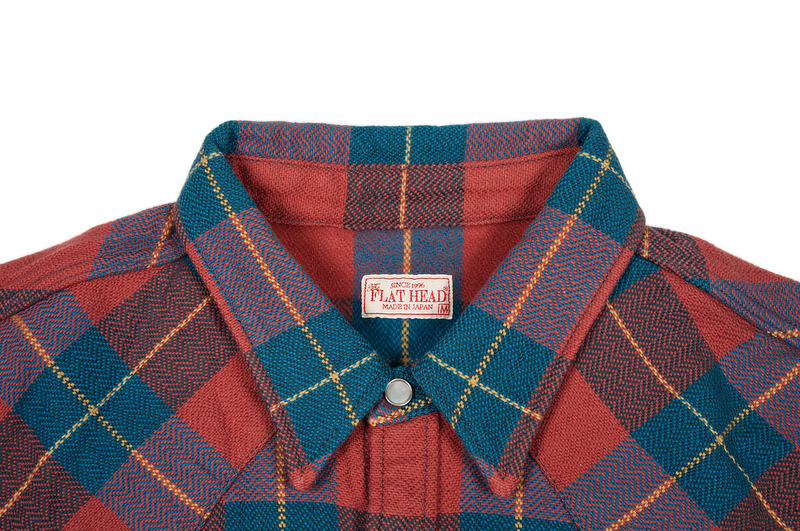 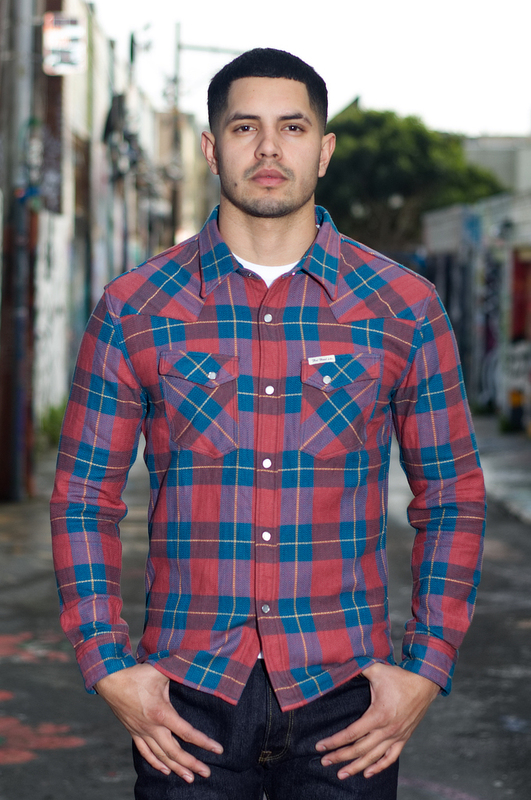 Flat Head has just delivered to us their new Animal Face Winter Snap shirts. 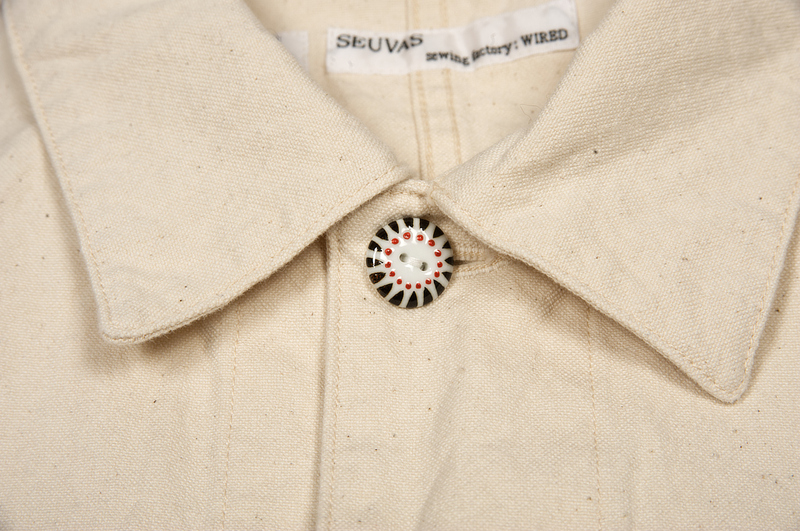 These flannels are brushed on the inside, come with real mother of pearl inlay buttons, and are woven on a shuttle loom so the pattern is nearly three dimensional when looking at them up close. 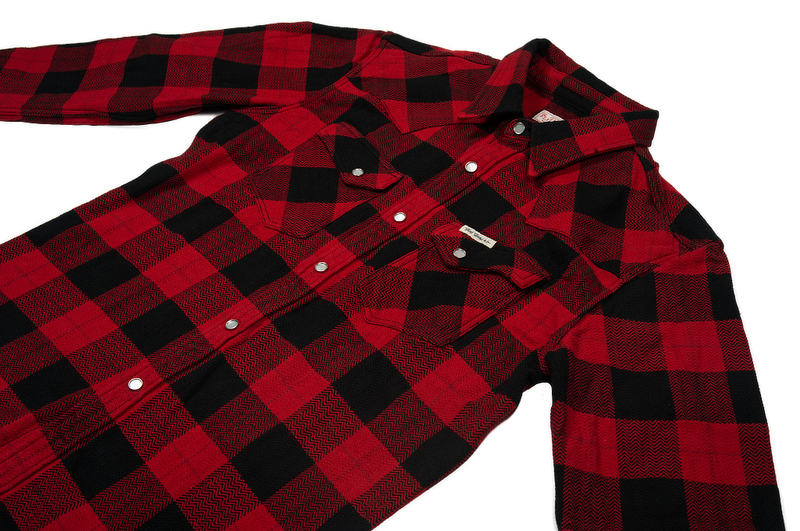 These are available now in three colors at all of our stores. 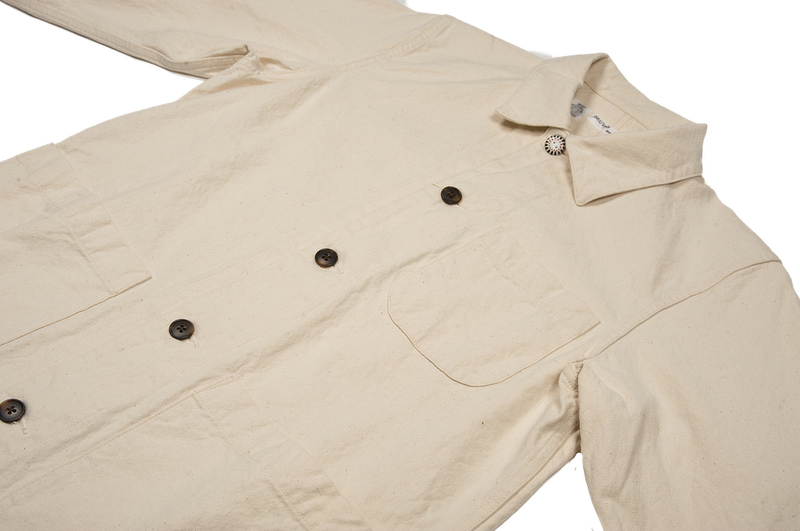 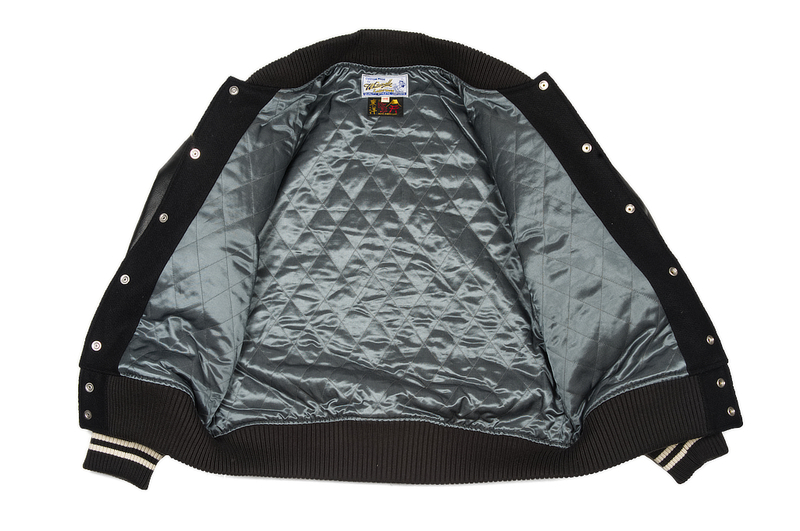 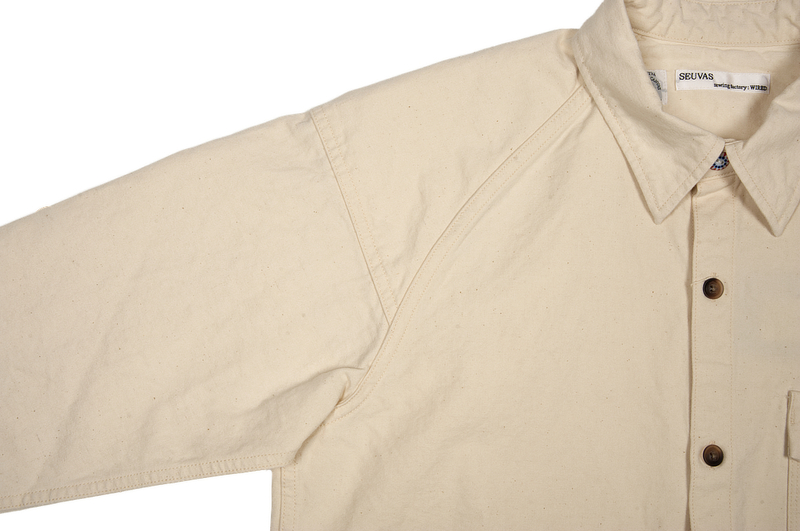 Two of Toyo's finest brands have combined what they do best into one hot jacket. 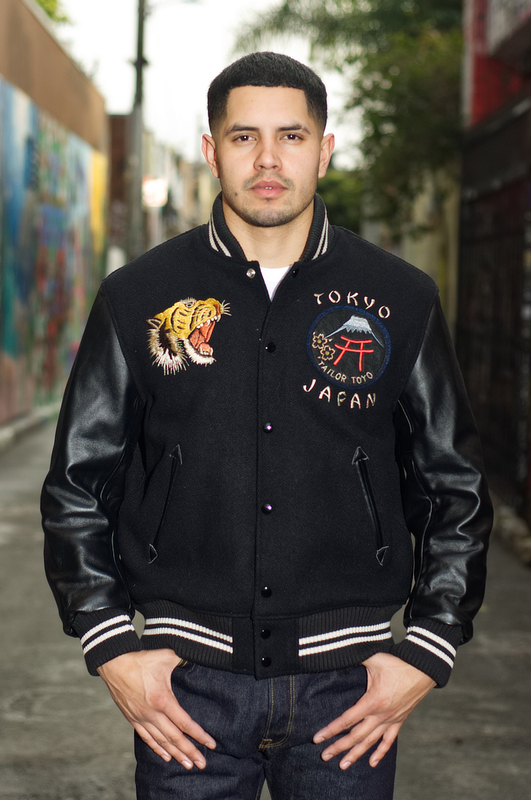 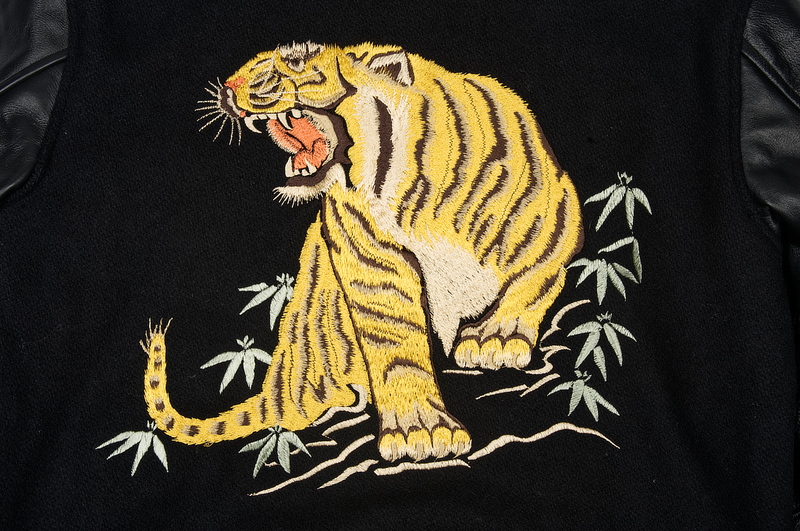 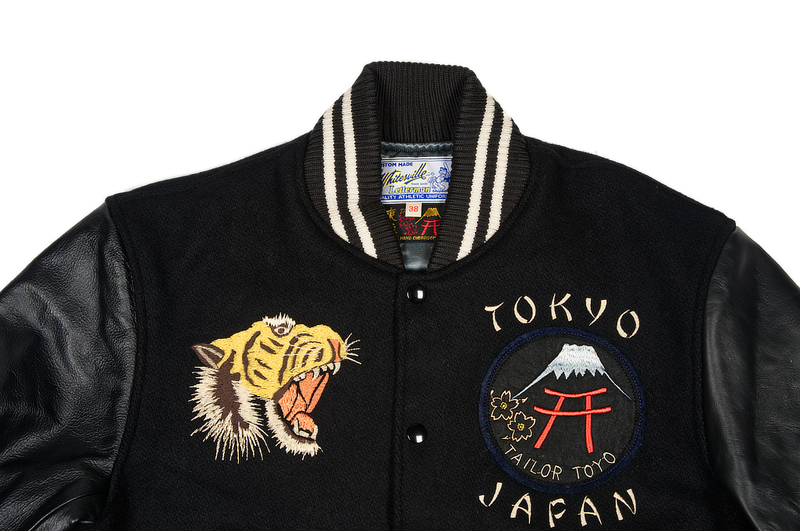 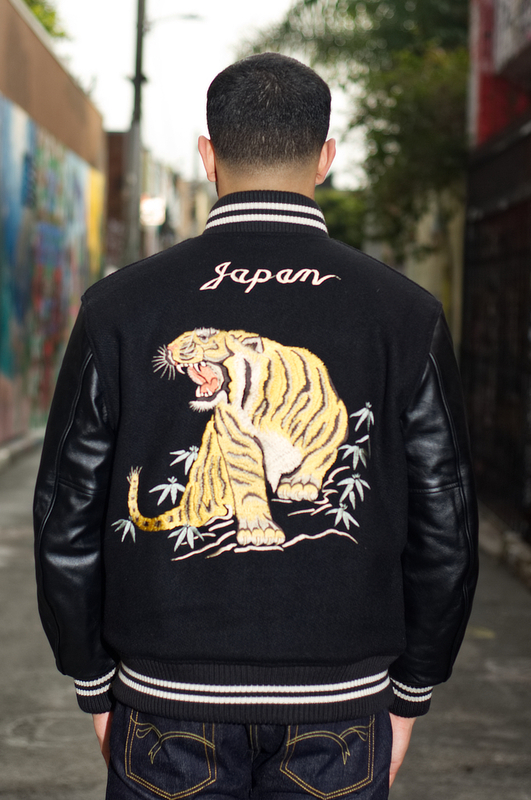 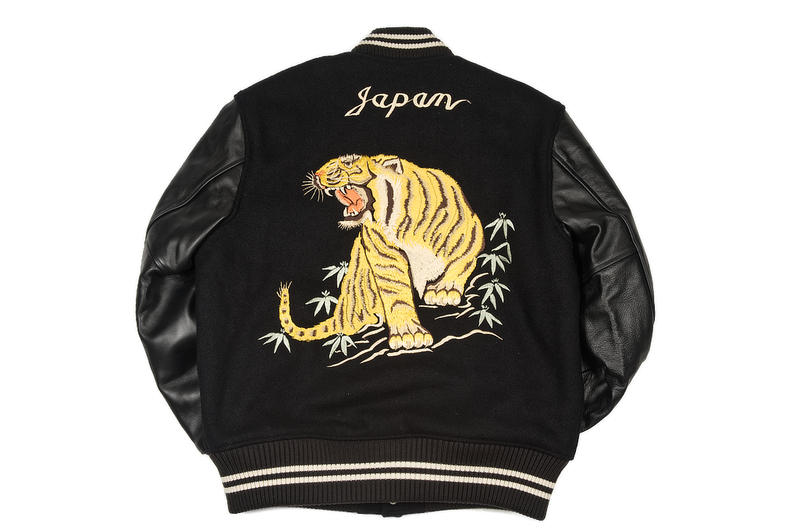 Taking Whitesville's amazing varsity style jackets and combining it with Tailor Toyo's many years of making Japanese souvenir jackets is a brilliant move. 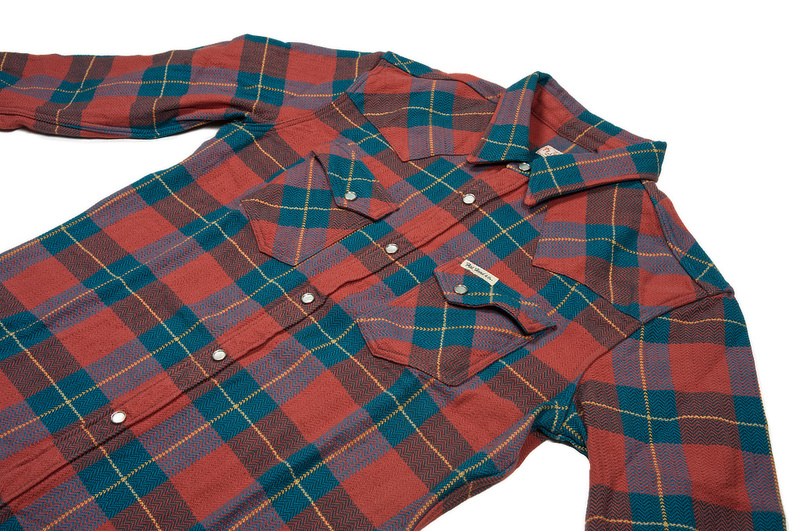 These are limited to only five per retailer, will not be produced again, and are available now at all of our stores. 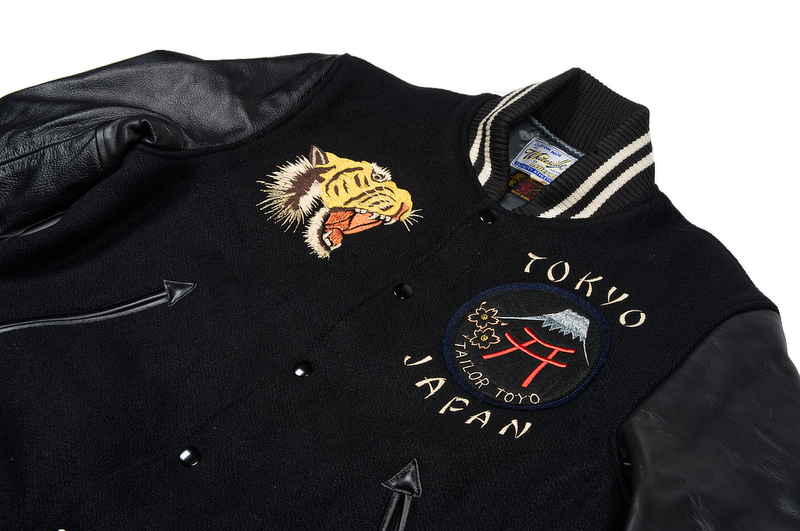 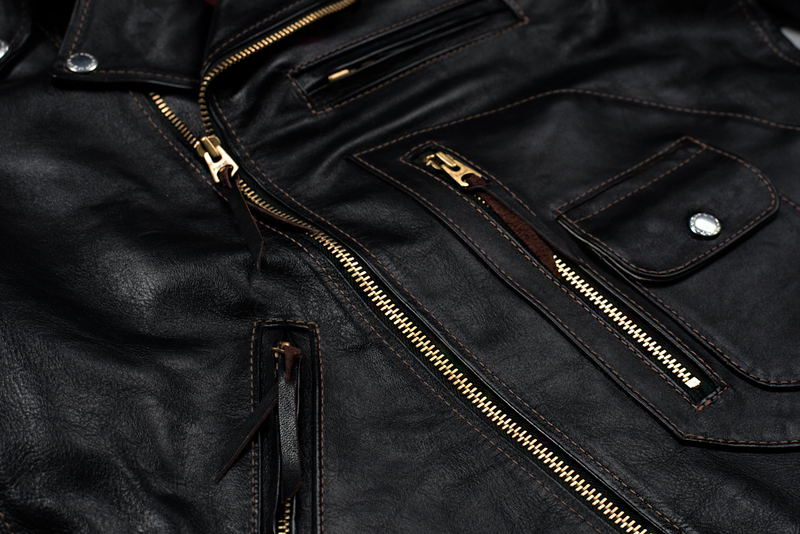 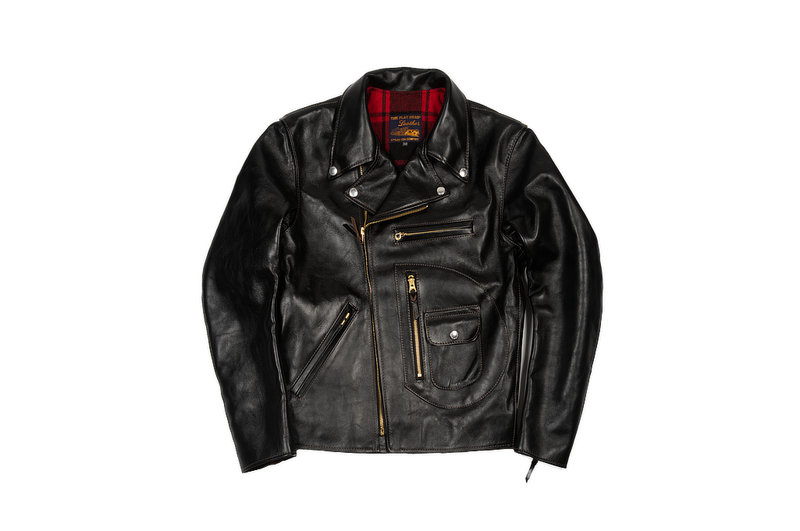 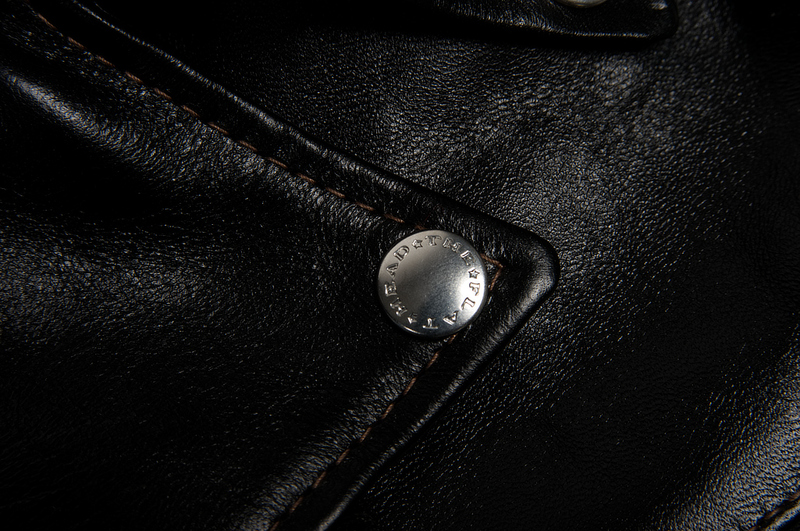 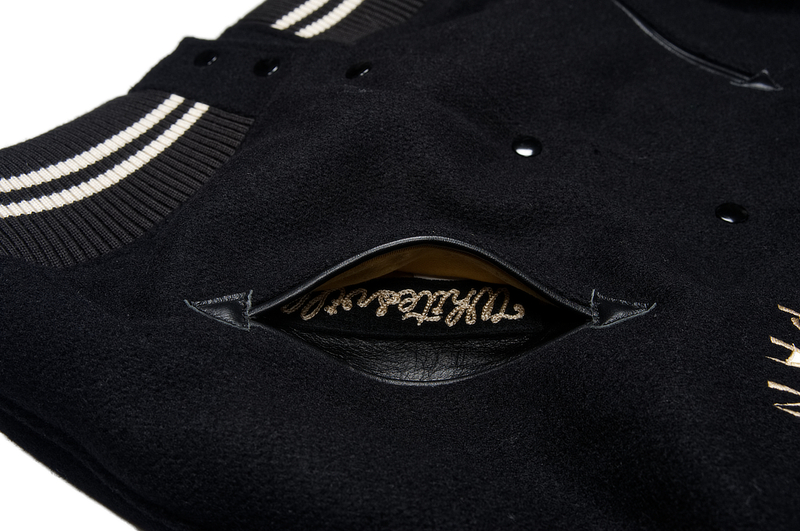 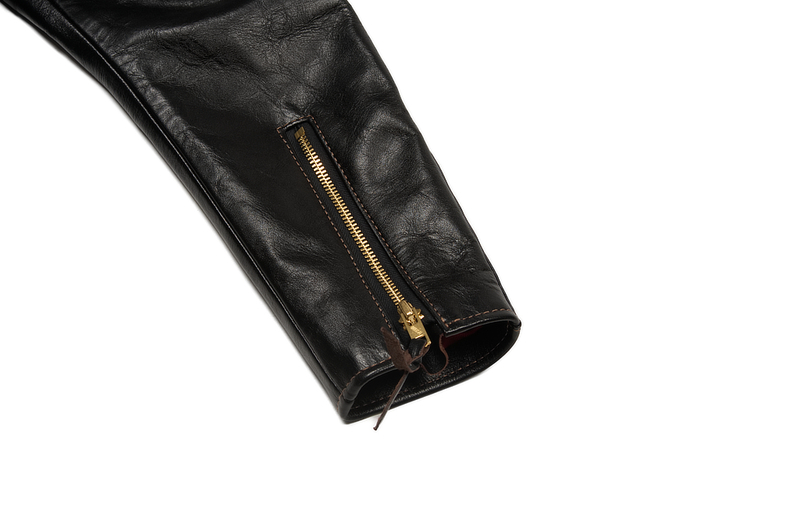 These are only produced once a year due to the extremely limited supply of this particular leather from Shinki. 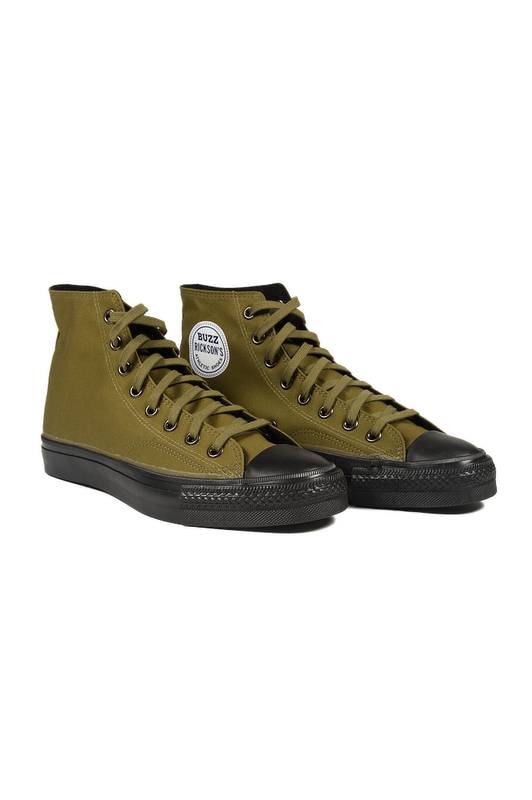 Also, they’re now available up to size 46. 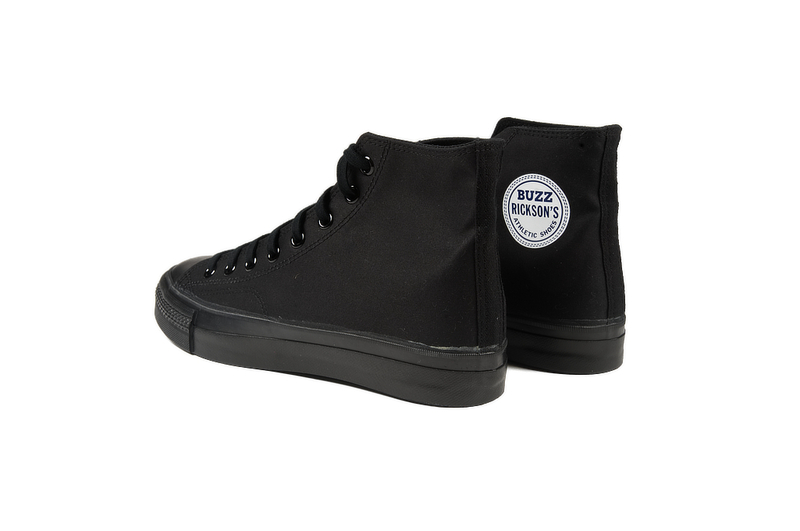 You can find these available now at our stores and online. 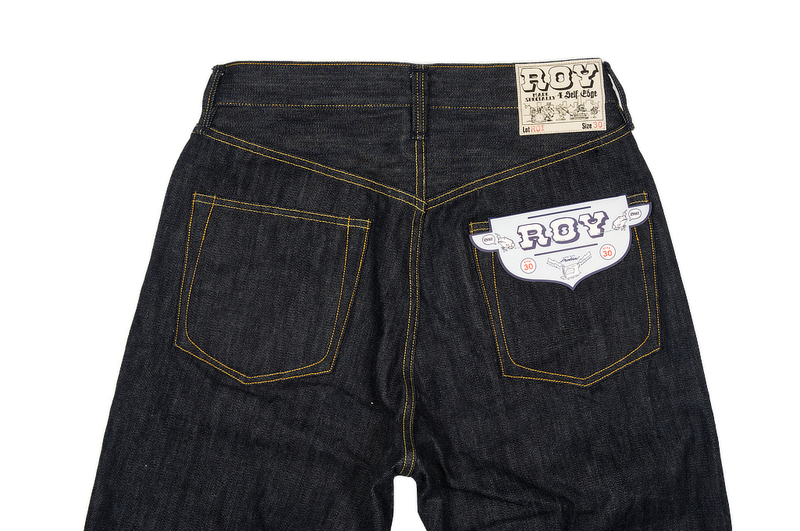 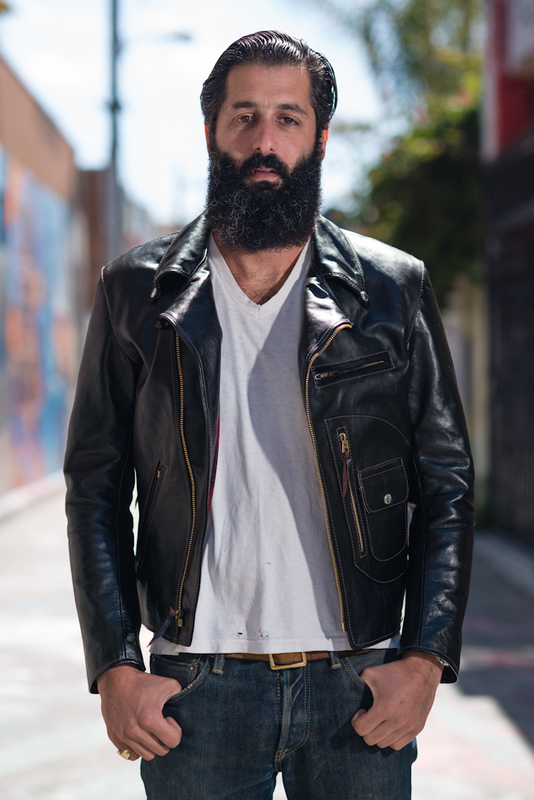 Hey @kiya when are you going to post some details about the new Roy jeans? 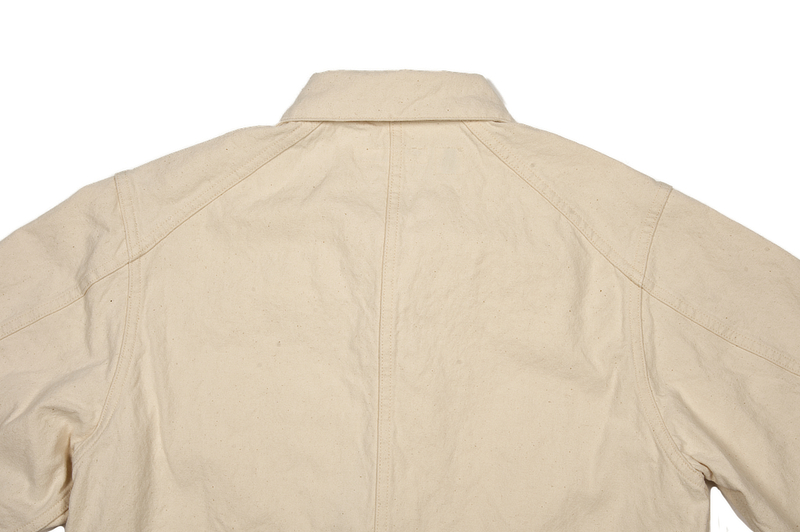 Details/measurements/photos were put up in our webstore yesterday. 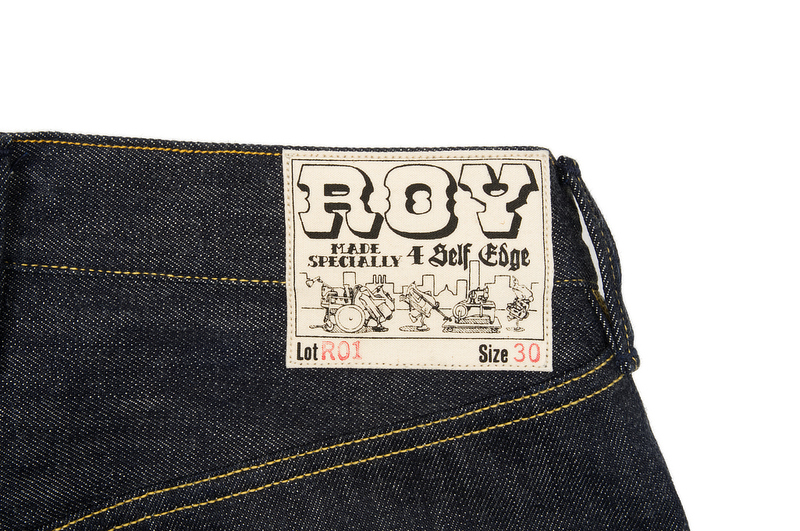 After many years of a Roy drought at Self Edge his jeans are back at our stores. 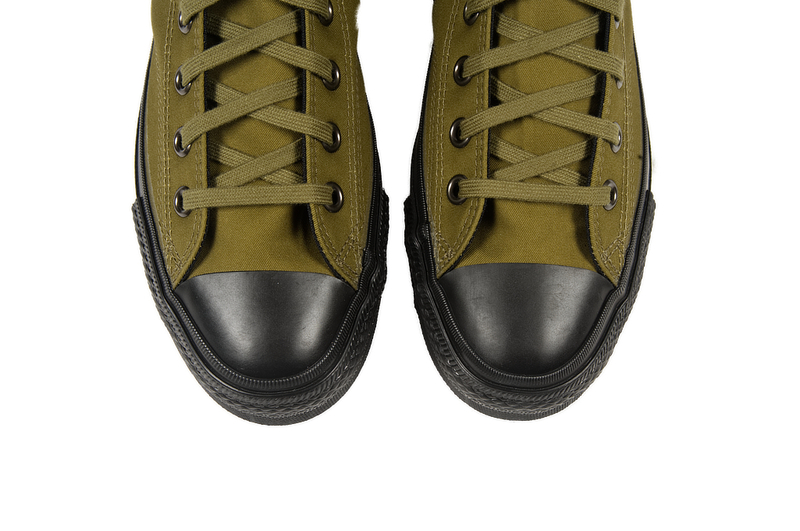 This new release is a reworked version of his popular R01 model. 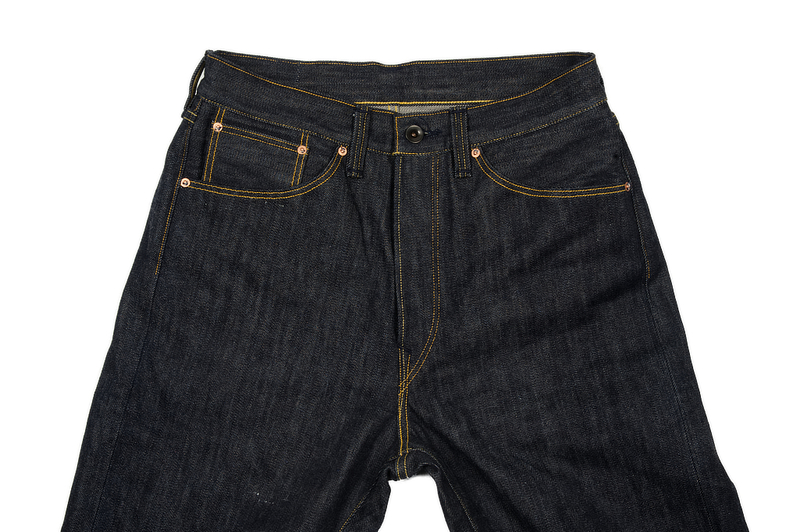 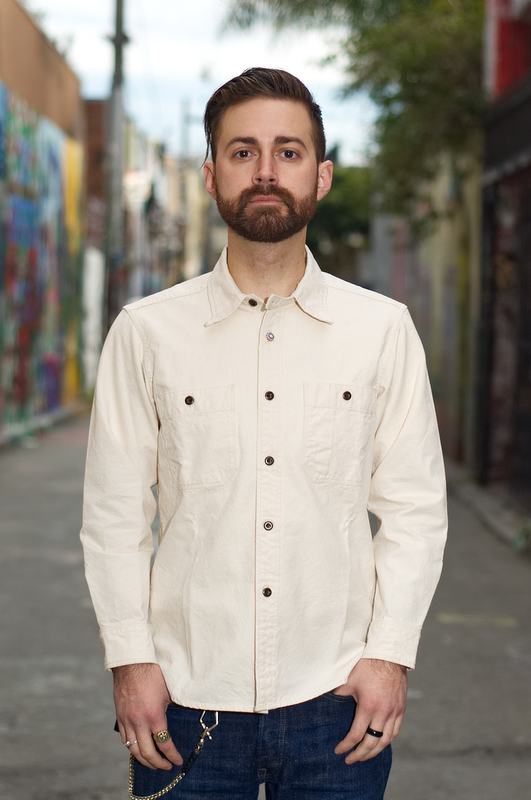 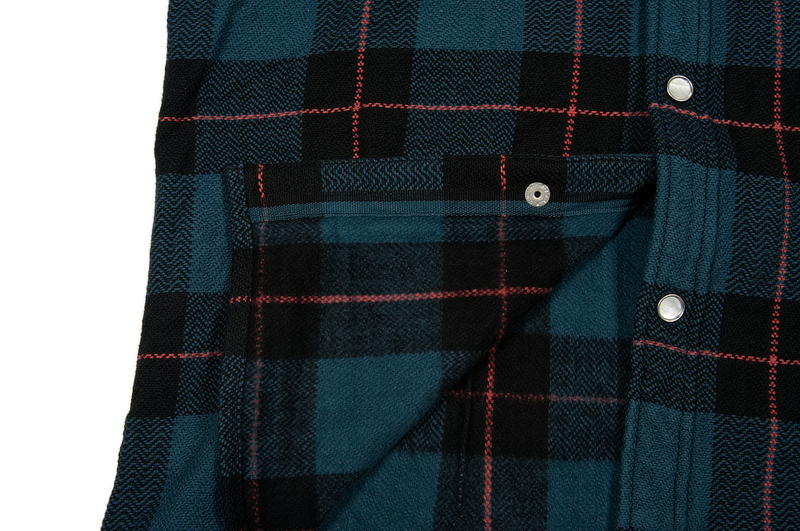 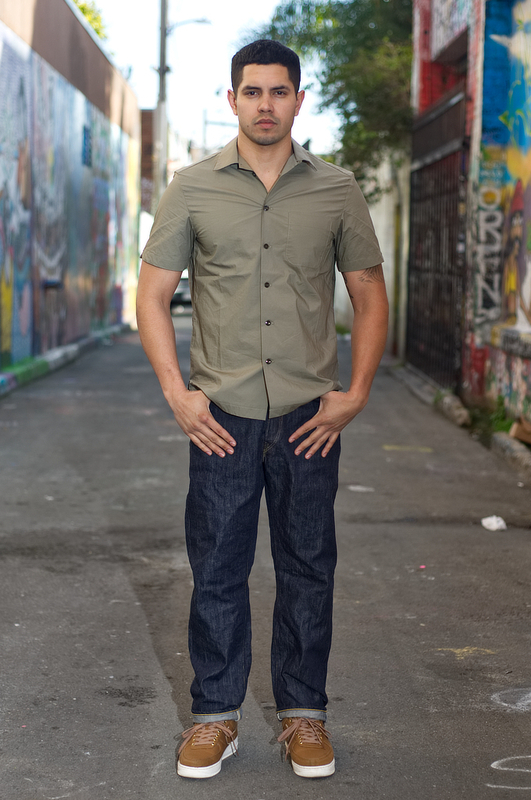 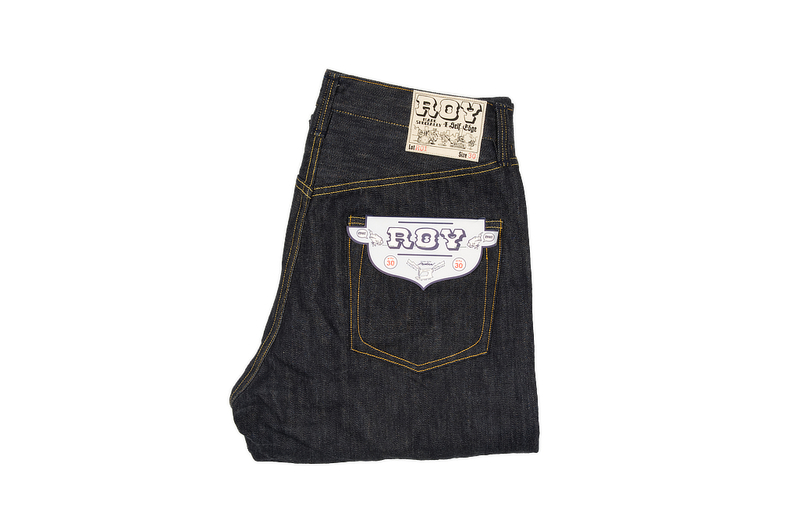 The fabric on these jeans is a 13.5oz loomstate denim which Roy designed from the ground up. 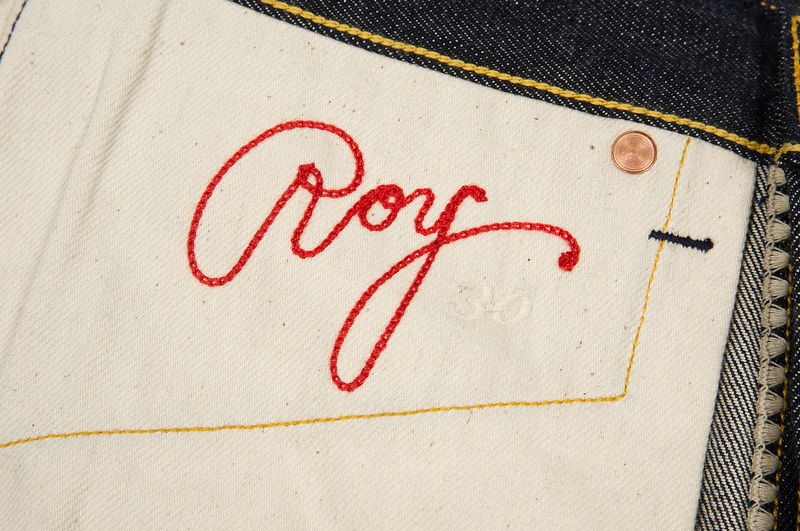 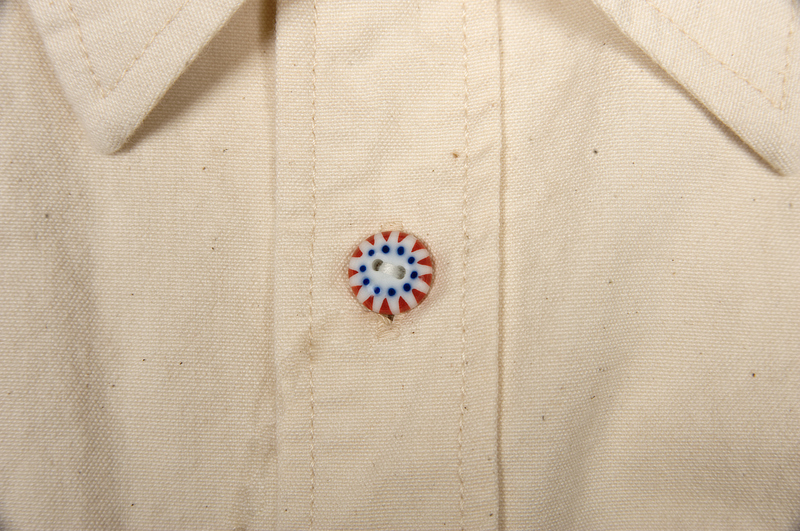 Cone did not have or could not produce the selvedge id thread color so Roy had another company manufacture just the single thread that goes through the selvedge line and had the thread shipped to Cone to use on his denim. 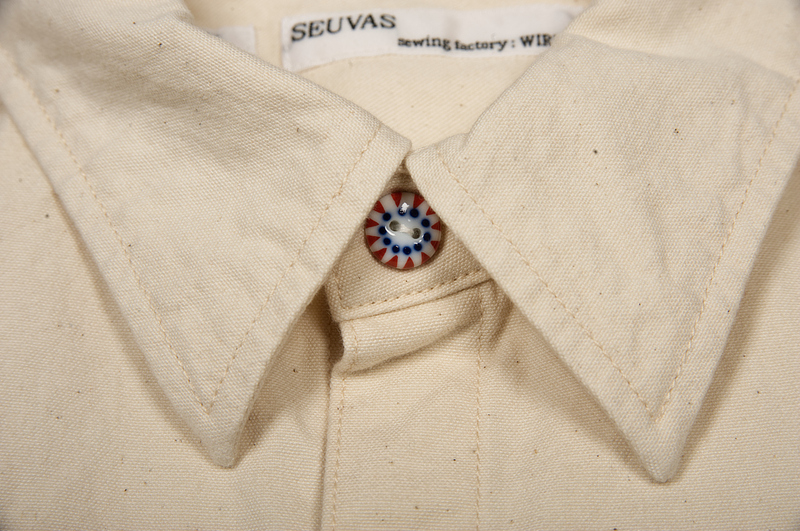 The warp yarns are made of a conventional American cotton while the weft is made of Supima cotton giving the fill threads an off-white cast. 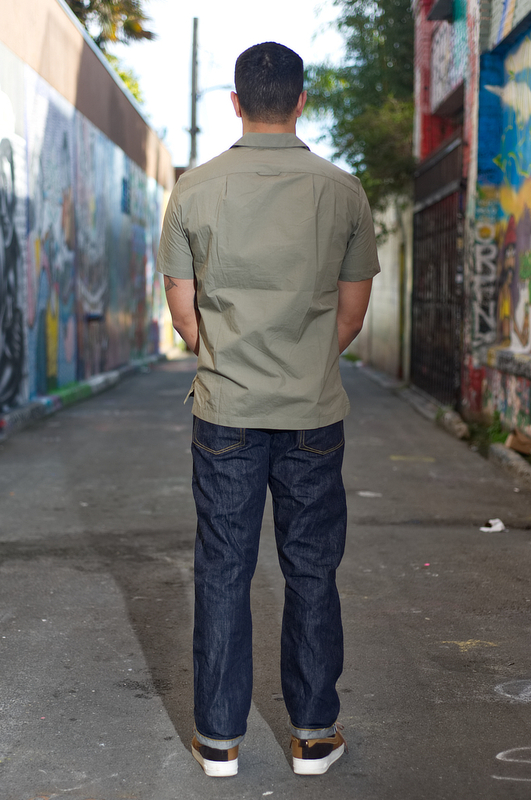 Supima is a longer staple cotton so we're thinking it will be less prone to stretching out and knee bagging. 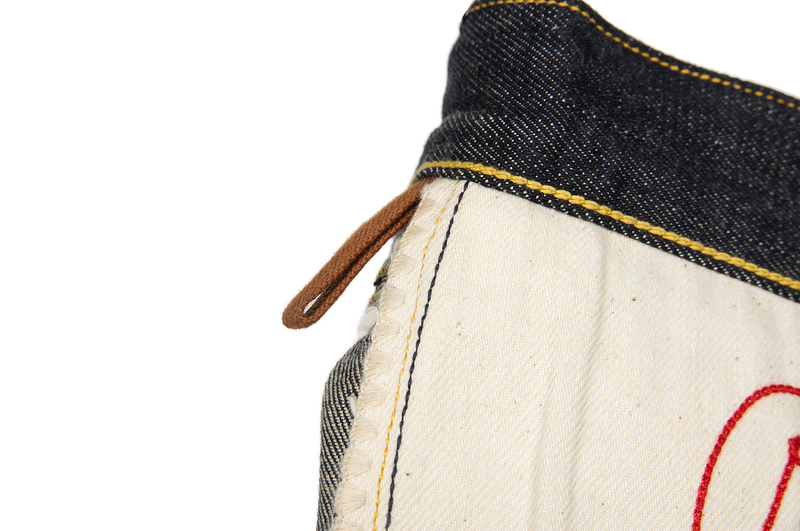 The fabric for the pocket bags were also custom designed and produced for this jean. 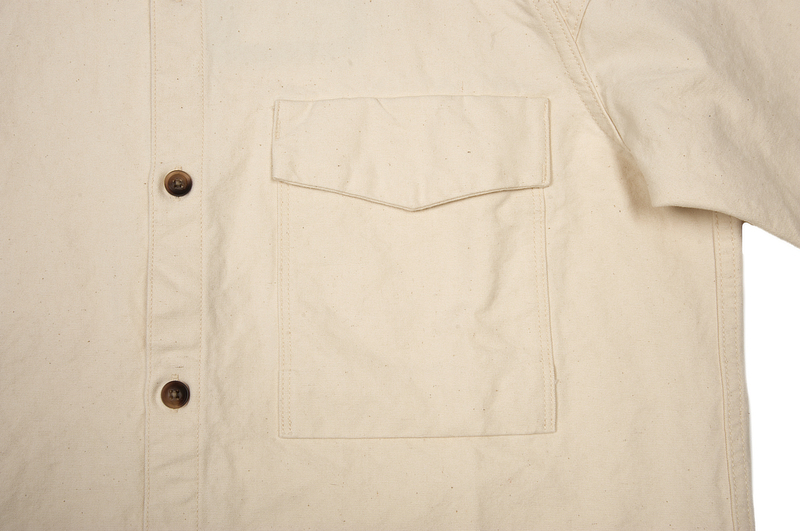 They're an undyed (natural) ring-ring 3x1 twill that is loomstate and will be cut in a way where it shrinks with the jean. 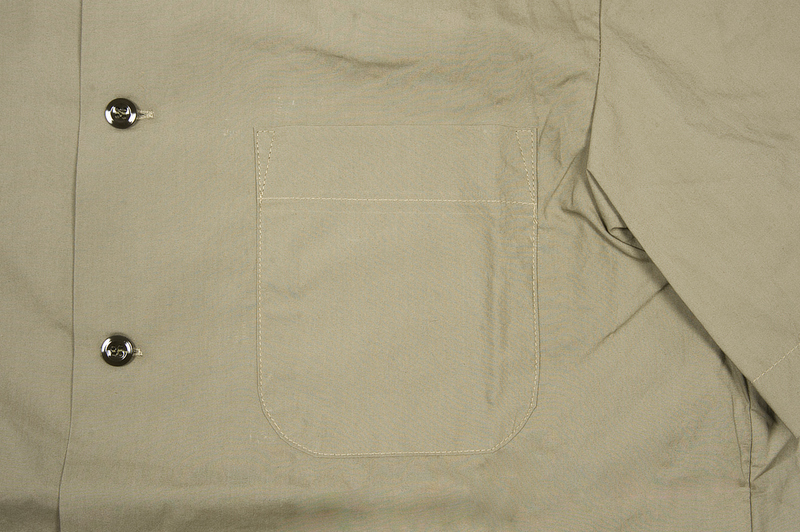 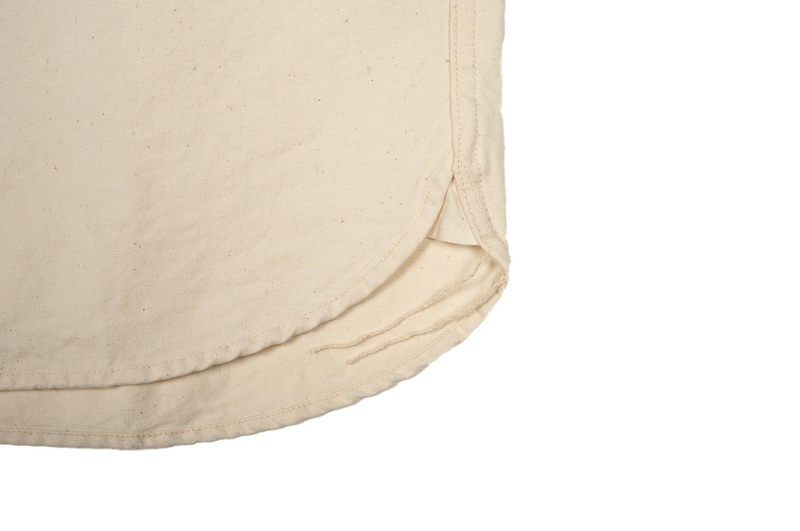 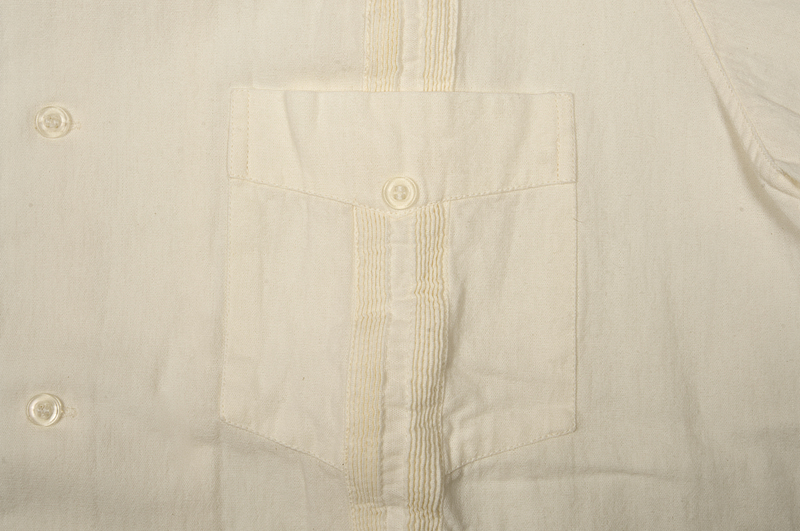 The pocket bags are a 10oz 3x1 cotton twill which is 100% ring spun, undyed, and unsanforized. 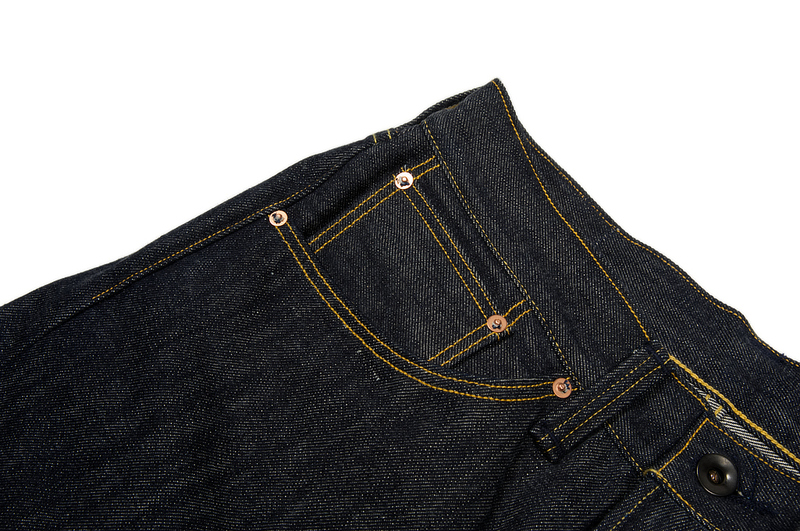 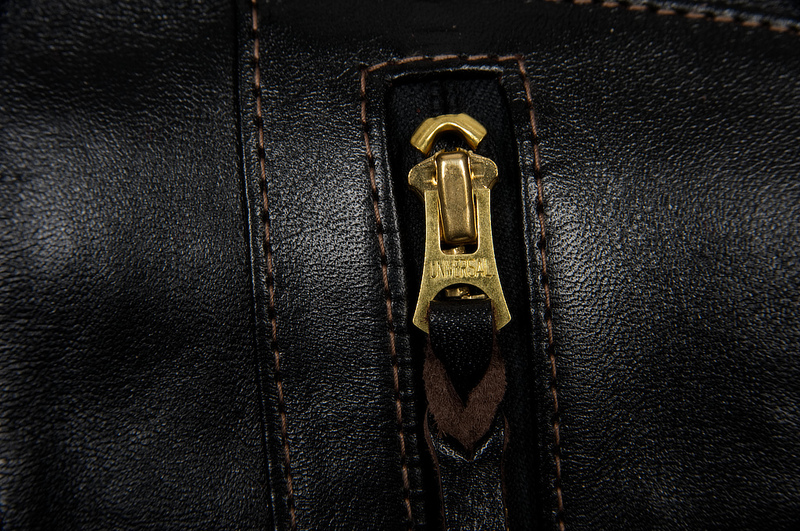 These jeans come with a vegan patch, freehand embroidered "Roy" and size number on the pocket bag, lined rear and coin pockets, solid copper rivets, mil-spec blackened brass buttons, and come in a straight leg cut with a little taper to the lower leg. 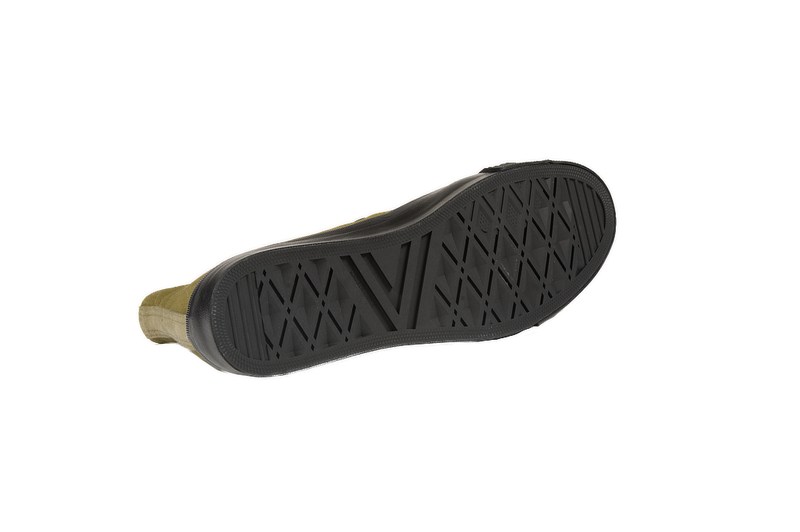 Check the product page for full measurements, a full spec list, more info, and high-res photographs. 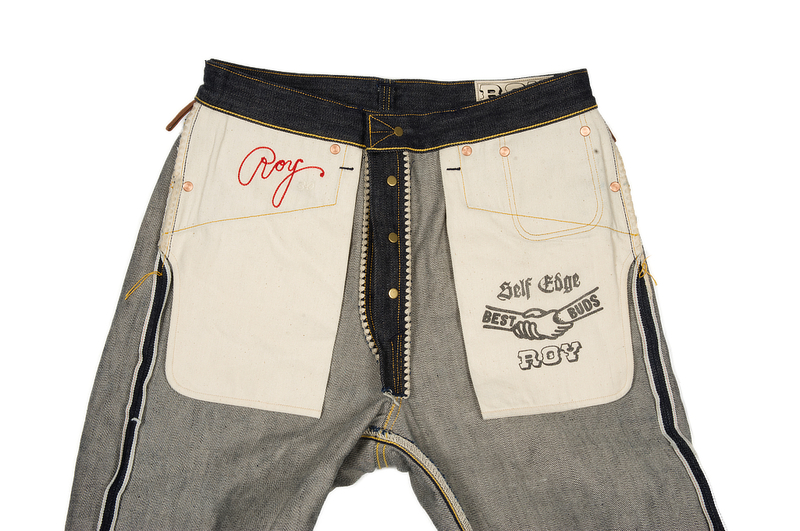 These jeans will go on sale at noon (local time) at all Self Edge stores on Friday, February 15th. 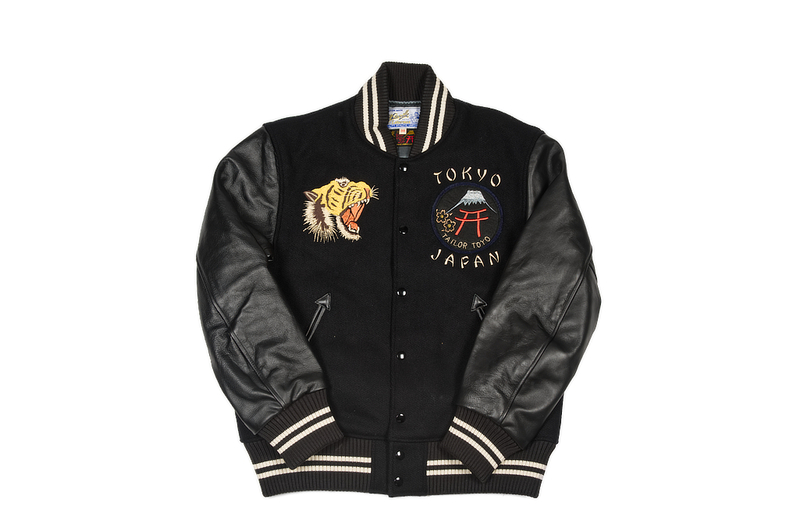 They will also go on sale at 2pm PST on the same day in our online store. 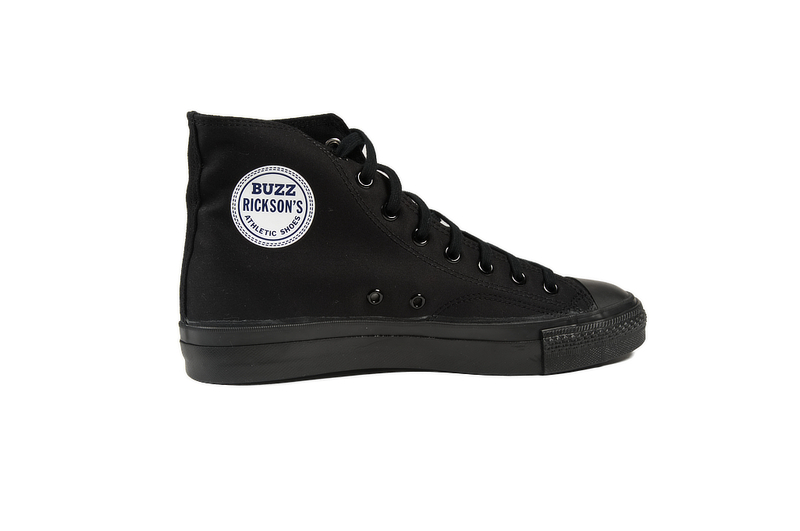 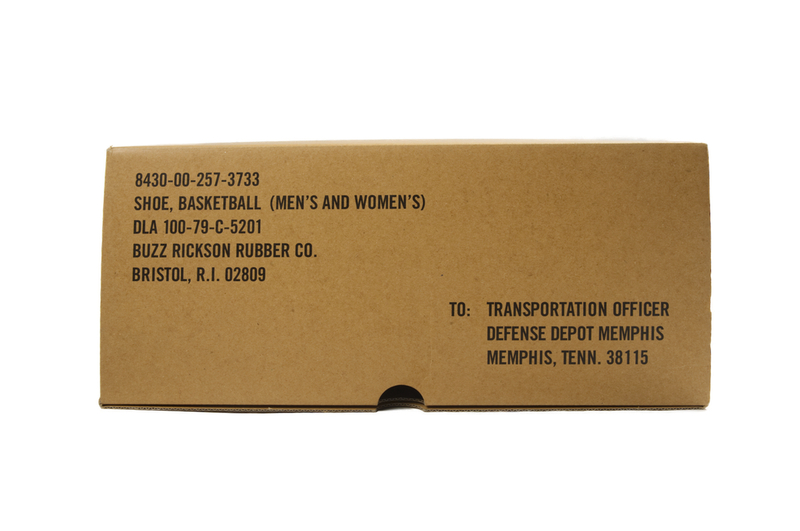 This week we have a special edition of Buzz Rickson's sneakers. 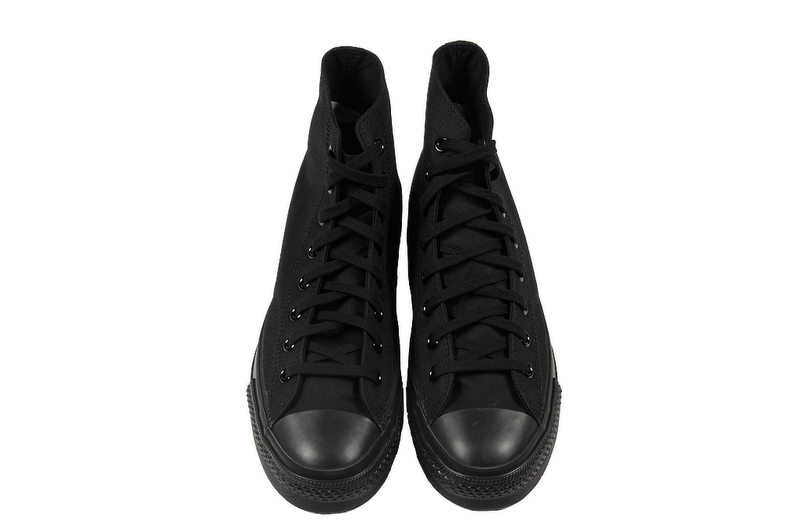 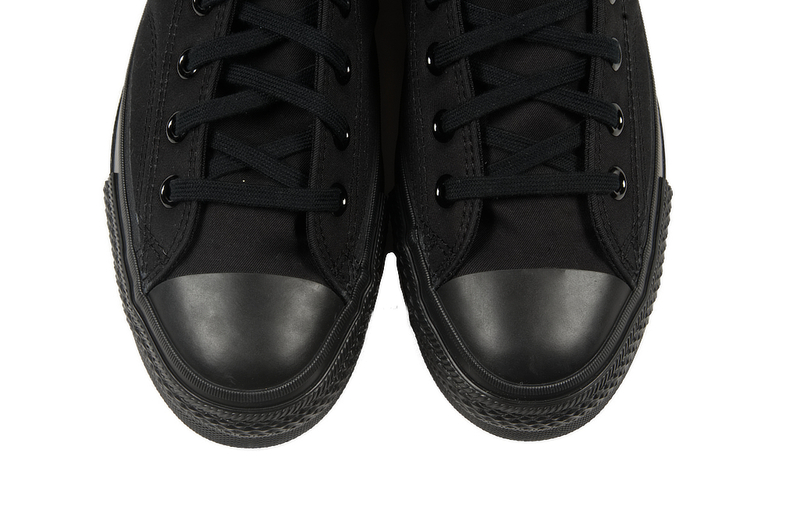 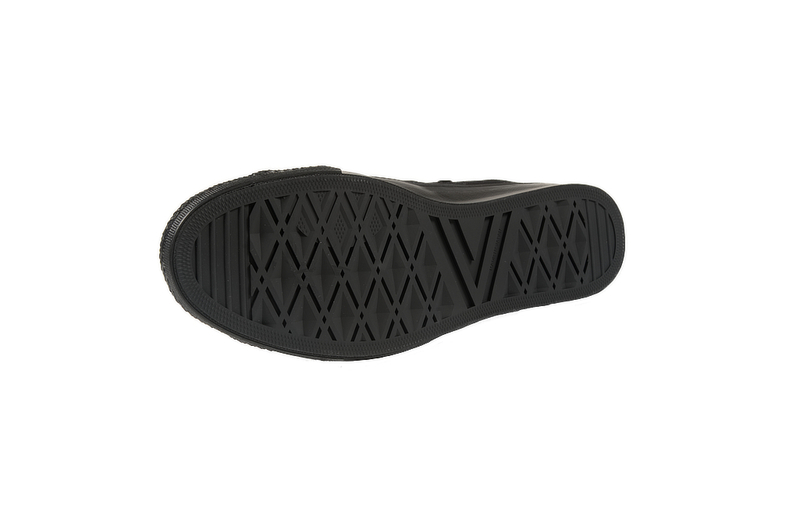 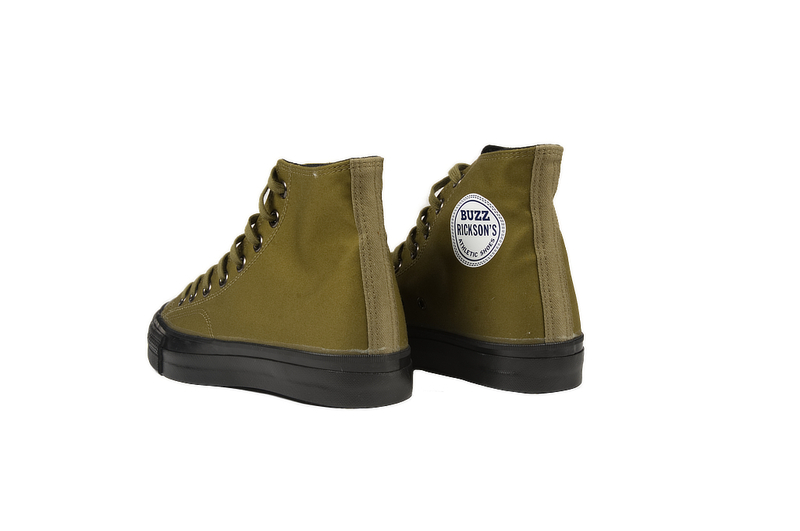 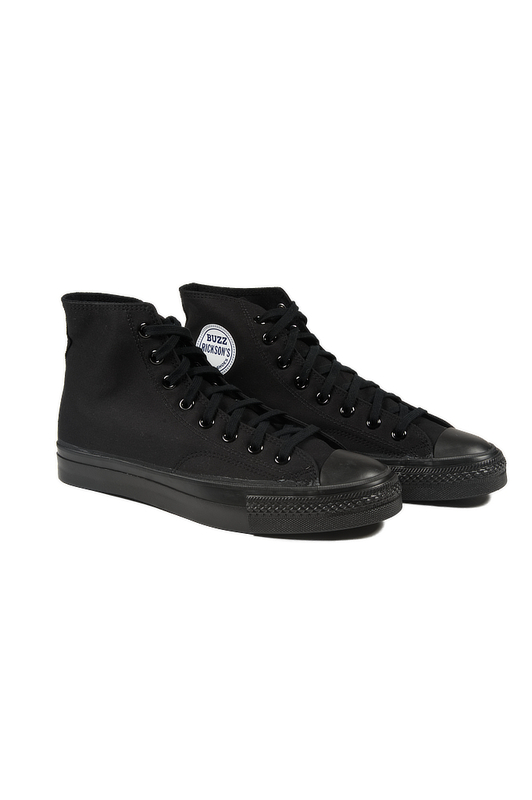 This new version is made in a high-top design using a water resistant Ventile fabric upper, black anodized steel eyelets, a custom natural rubber sole, and vintage style 100% cotton laces. 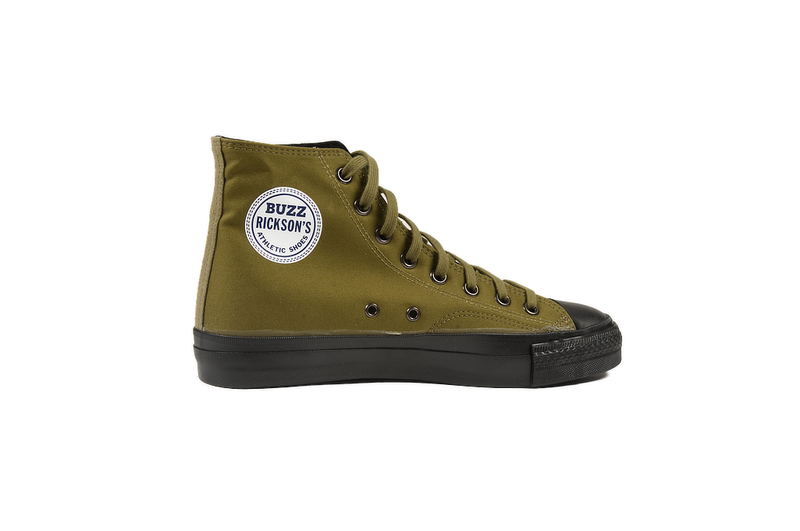 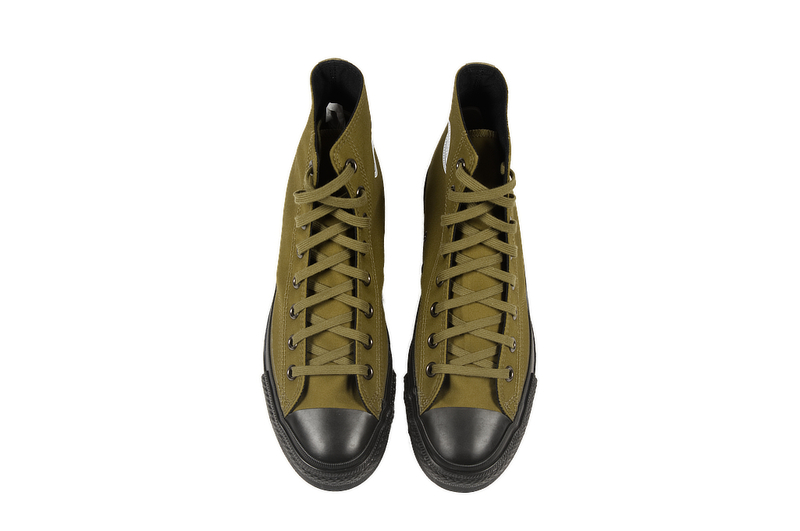 These are available now in limited numbers in olive or all black. 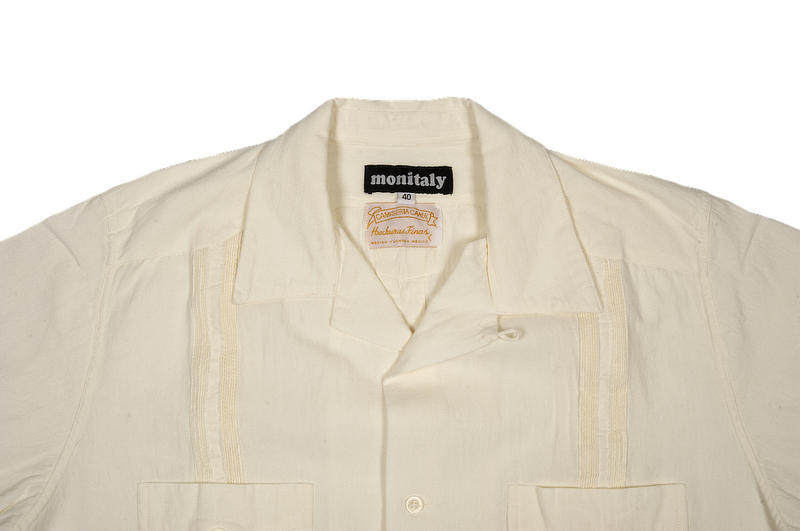 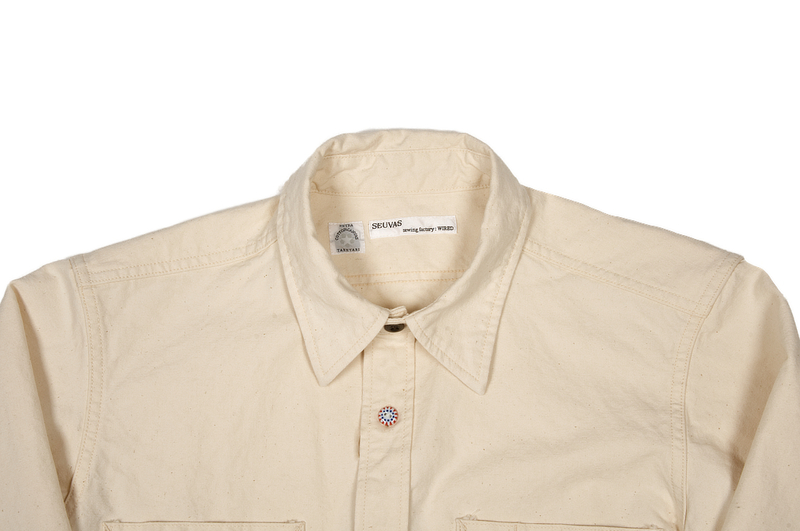 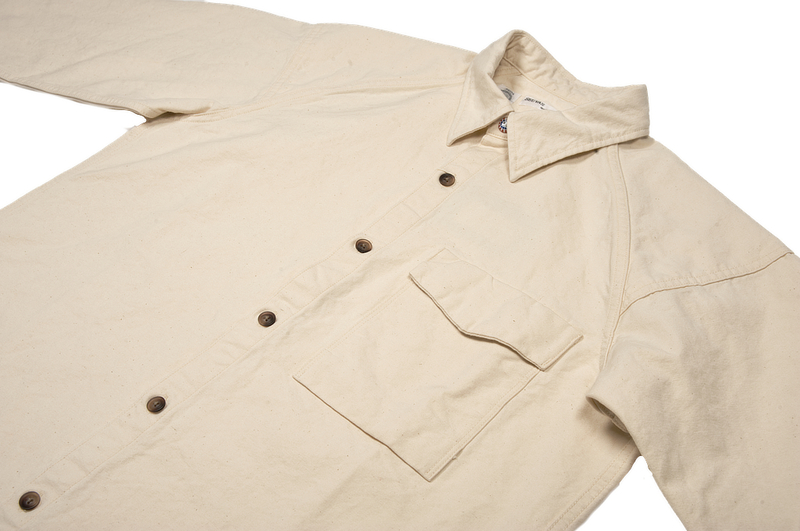 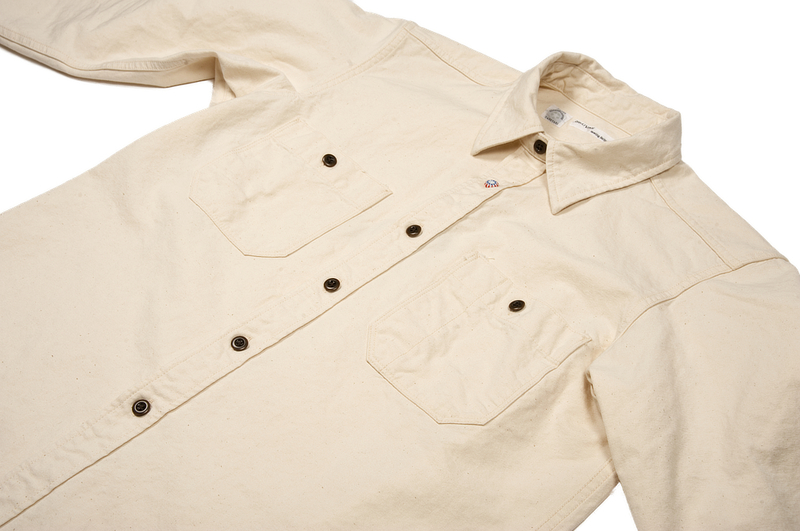 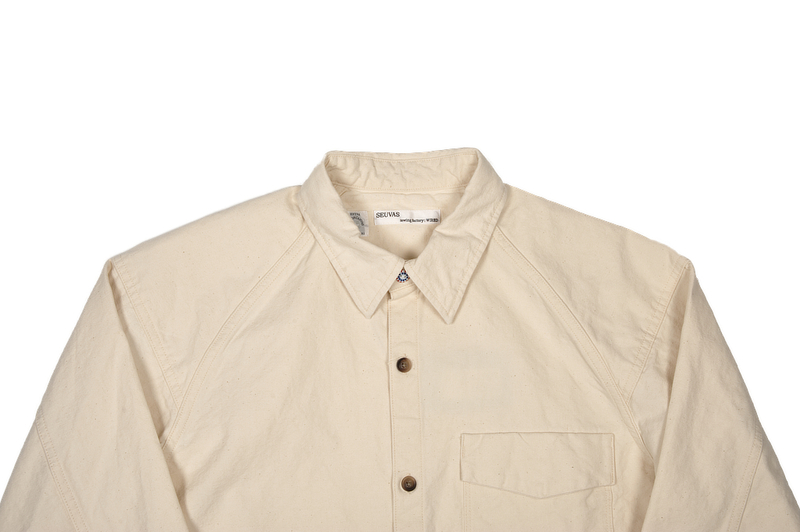 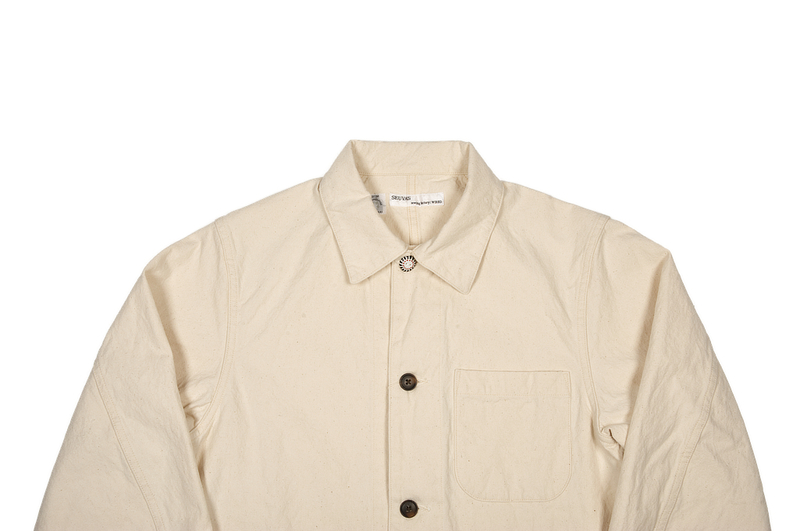 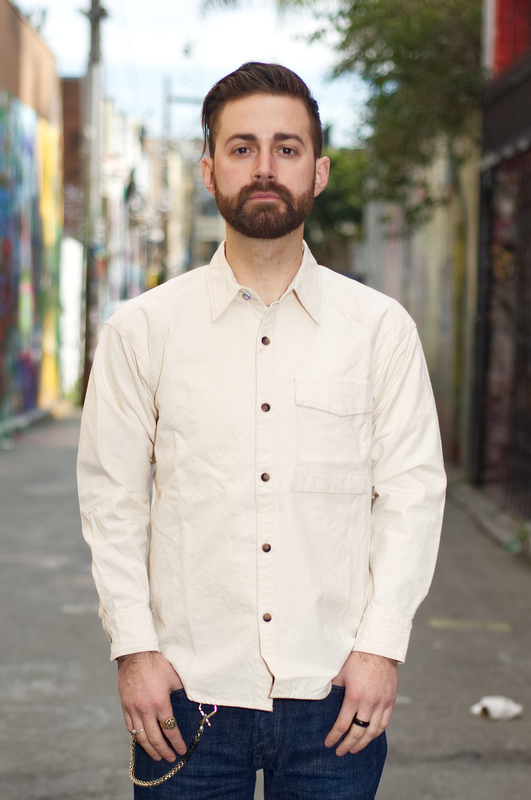 We have two new shirts from Monitaly this week from their Spring 2019 collection. 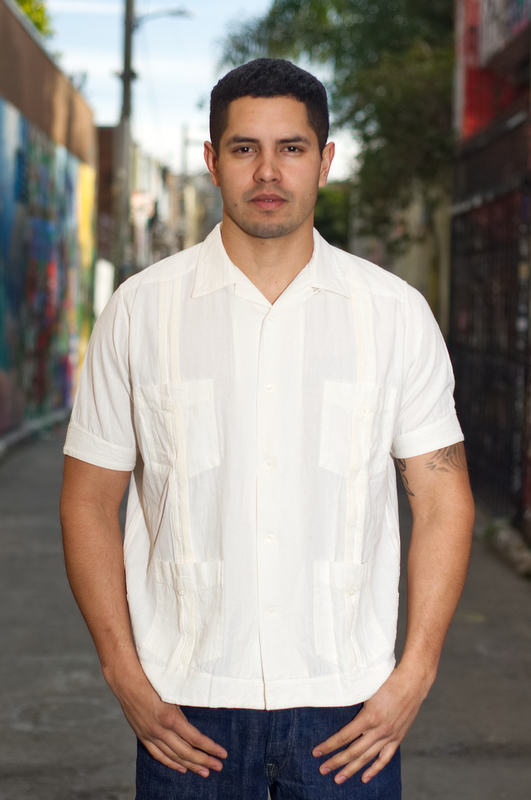 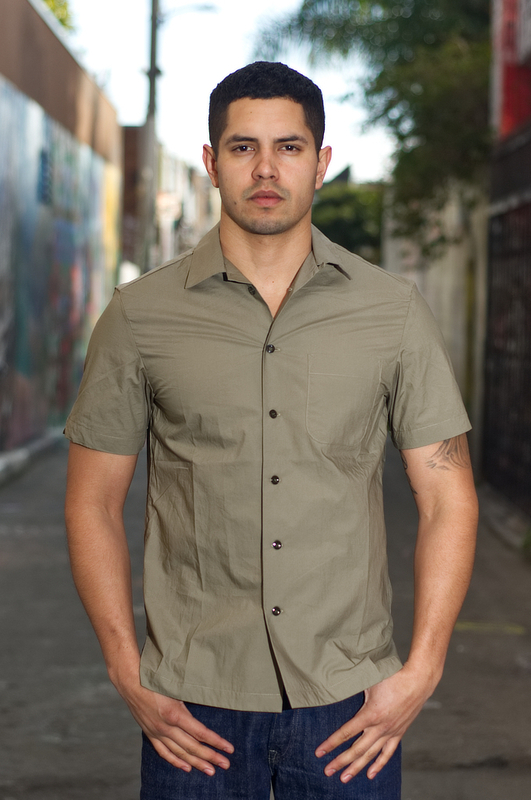 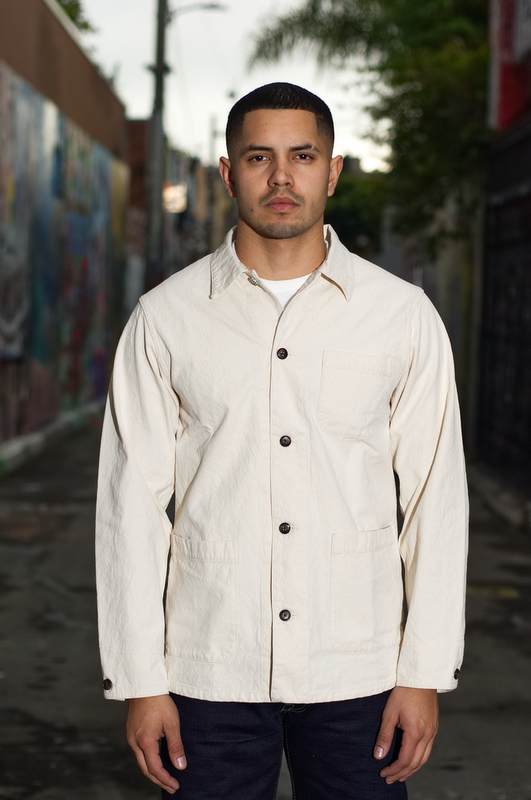 They've done their popular guayabera shirt in a new white color and also a weekend shirt made of a 100% cotton water resistant poplin.